Bake 12 to 14 minutes or until edges are light golden brown. Cool completely on cookie sheets, about 25 minutes. Remove cookies from foil. Meanwhile, divide frosting among small bowls. Add icing color to each; blend until desired color. Place each color frosting in resealable freezer plastic bag; seal bags. Cut small hole in 1 corner of each bag. 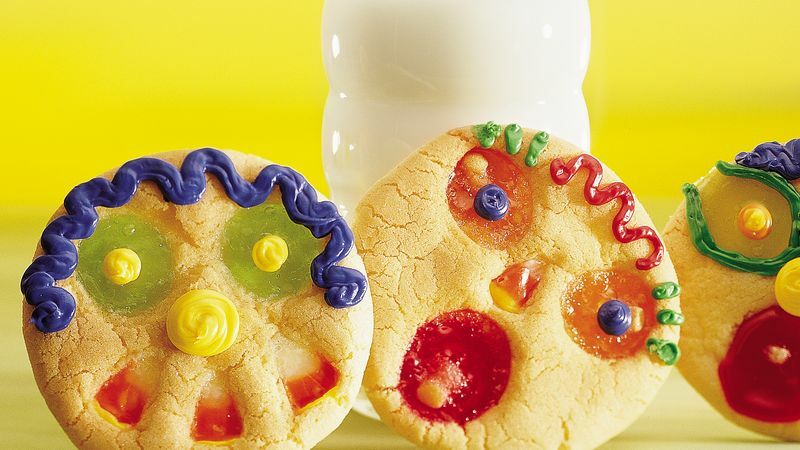 Decorate cookies as desired by squeezing frosting out through hole in each bag.